It’s Friday night and what better way to spend that night than creating your own Maxi Roll (That’s right, not a Cadburys Mini Roll but its obese cousin – the Maxi Roll). Preheat oven to 190OC, grease tin and add greaseproof paper. Cream the sugar and eggs until fluffy and sift the flour into the mixture. Mix until lovely and smooth and pour into the tin. Check out the smoothness of the mixture. Digital. 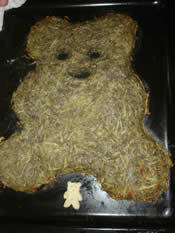 Cook for 15-20mins, remove from the oven and cool. Melt 300g of chocolate over a pan of boiling water. 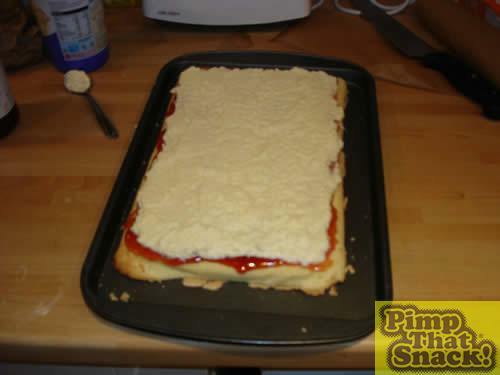 Once cooled pour onto a baking tin and place in the freezer for 10mins. 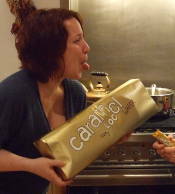 This will form the base later on. 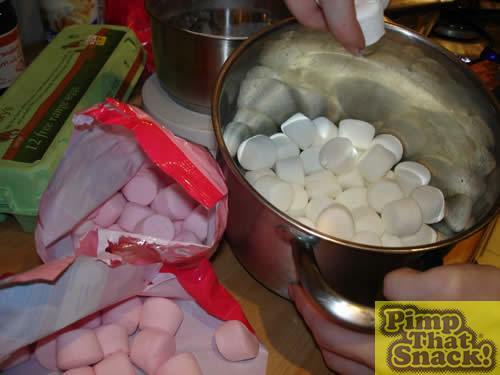 Melt the marshmallows over a gentle heat and stir continuously to avoid burning. 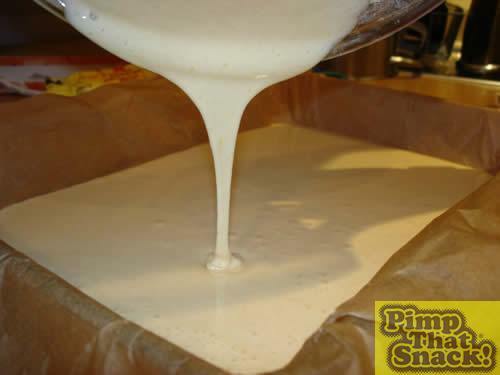 Whip the cream in a separate bowl, add vanilla essence and add to the melted marshmallow mix and place into the fridge. The filling was a mystery but we’re sure that we have stumbled across Cadbury’s secret recipe for the “vanilla flavoured filling”. 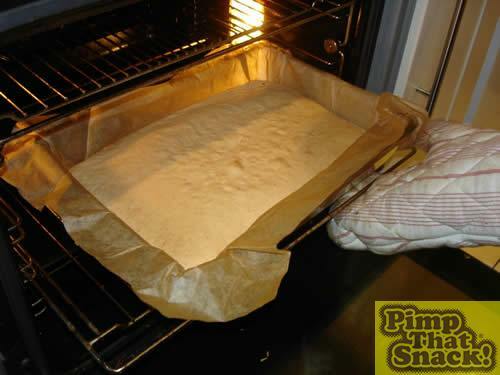 Transfer the sponge onto a sheet of clingfilm. 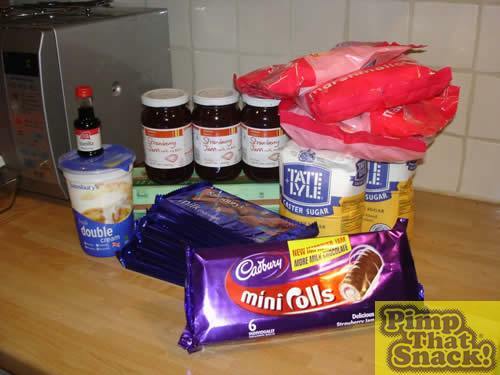 Spoon over a layer of jam and add the cooled marshmallow mix.